Somewhere in my consciousness I think a perfect bag hangs on a rack in some unnamed store or open air market waiting for me to find it. This bag weighs as much as a feather, holds as much as a trunk, hugs my neck like a warm embrace, reveals its contents immediately upon opening, and causes the sin of envy in all of my peers for its matchless style. It is the wonder bag for the life of a style-conscious mom on the go in a foreign country. I need not sacrifice any style, comfort, or convenience when I carry this bag. I’ve made many bag mistakes. In the beginning of my life overseas I tried out a truly horrible huge fanny pack thing. It worked well for all my bike riding but our relationship was forever damaged when a pick pocket stole $300 from it while it distended off my back. Trust broken is difficult to reclaim in bags. Then, for a while I tried a small backpack but began to move away from the athletic style and noticed a growing interest in actually looking fashionable. Unfortunately, my children still required me to carry a diaper bag and carrying two bags…well…I already carried enough. Fashion gave way to utilitarian concerns until recently. 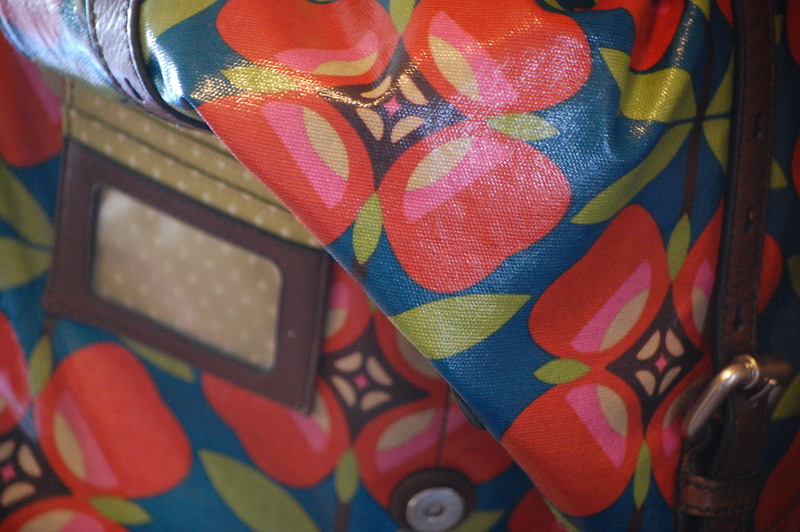 My current bag is a wonderfully feminine messenger bag that receives many compliments and makes me smile when I see it decorating my entry way coat rack. However, it quickly weighs down my neck and I lament this one imperfection. My former bag, a beautiful pewter colored tote, graced my shoulder with much panache but failed to stand up when placed on the floor. In America, this is a minor problem. In Asia, the floors are…well…quite dirty in most places. In my current daily life, a bag must account for such realities as split pants on toddlers. The bigger failure of the American bag, though, is its flagrant disregard of danger. On subways and in train stations it begs the attentions of thieves because it attempts to close its foot long opening with one meager magnetic clasp. Alas, I save it for safer countries. The cute messenger bag does me well these days but I still long for the perfect bag which it is not…quite. This perfect bag only exists in my imagination, I know, but I still hope that in this perfect bag heavy things are light and favorite pens never disappear and thieves are a thing of the past. When I look it boldly in the face, my search for this perfect bag reflects an aspect of my longing for heaven. I desire safety, beauty, harmony with the world, and enjoyable work…all things I see a hint of on earth but that heaven fully realizes. My search for the perfect bag is a hobby now. I still search knowing perfection remains out of reach this side of heaven. I do long to find a bag that comes as close to heaven as possible, though! But as with any search for perfect, I glean more knowledge about myself and my world and my God in the searching. < Previous Do I Love God? That is the current messenger bag and yes, my friend has the same one! I bought it at a Fossil outlet near where you live. I love those places…they feed my bag cravings. That’s too bad. As a bag lover…I know the pain of a missed opportunity.